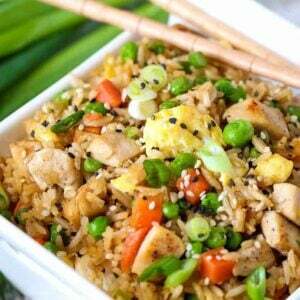 We love making Chicken Fried Rice for dinner! This fried rice recipe is a staple at our house, it’s crazy easy to make and everyone loves it! 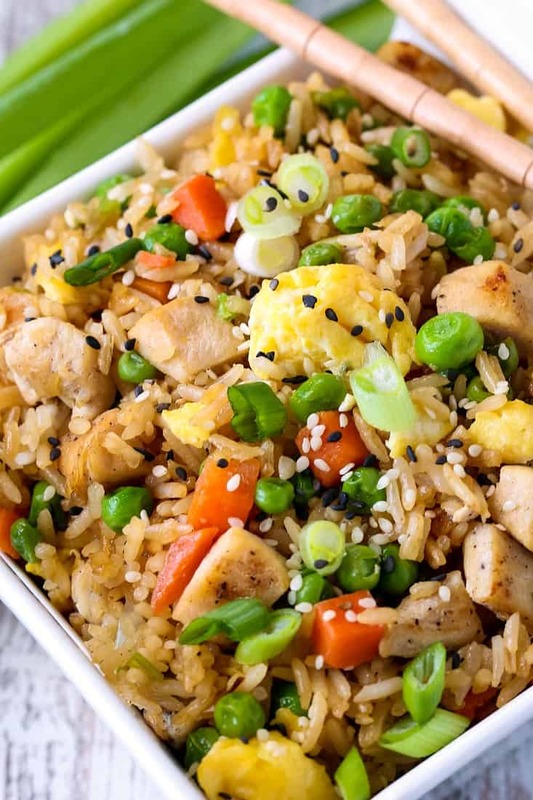 If you love fried rice too, you have to try some of our favorite versions! 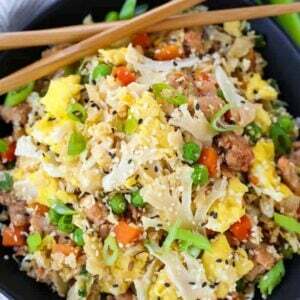 Italian Fried Rice with sausage and cheese, BBQ Pork Fried Rice, classic Hibachi Fried Rice or even this low carb Cauliflower Fried Rice recipe! Who doesn’t love fried rice? I can’t think of anyone, really. There’s so many different ways to make fried rice that you should be able to find a recipe that pleases just about anyone. 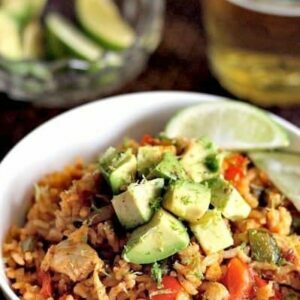 We have tons of variations of fried rice recipes right here on our website. Some we listed up top there but there’s even more. 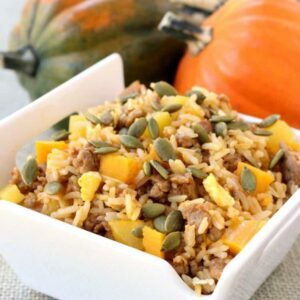 Fall Fried Rice uses nuts and different kinds of squash or Chicken Fajita Fried Rice which is always the boys’ favorite. 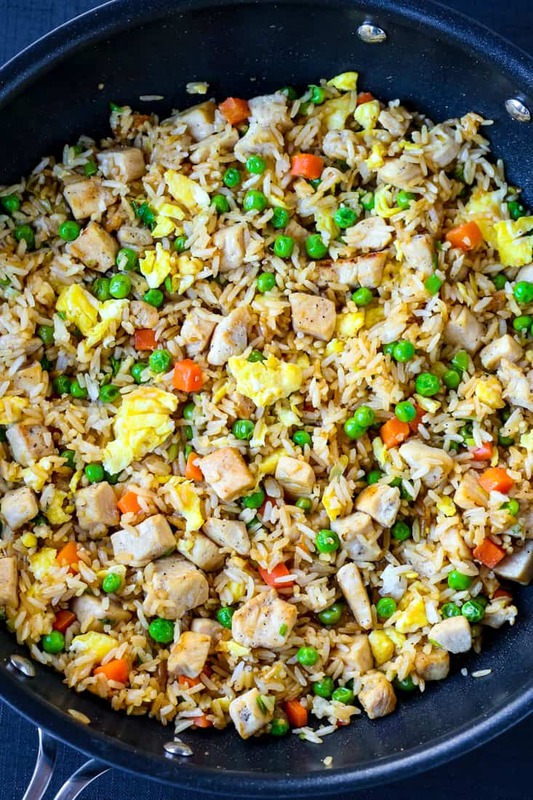 So all you need to do to make fried rice is to pick a protein, like we’ve used chicken here. Grab your vegetables like our standard peas and carrots that we used in this recipe. 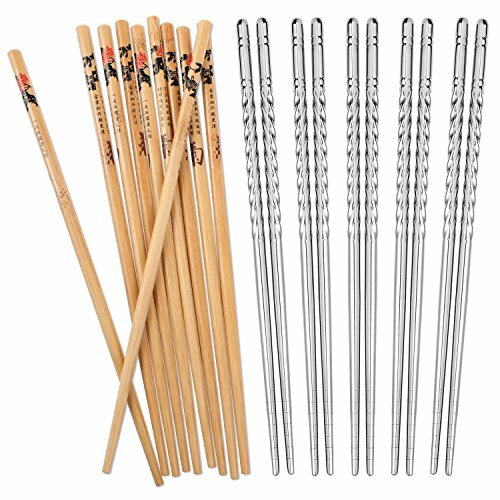 Then your rice (don’t forget to see our tips below!) and a few seasonings and you’re on your way! Pretty much anything you’ve got in the fridge! That’s another reason why we love making fried rice, it’s so easy to dump everything into the wok and have it on the table in minutes. Here’s some great swap out ideas! • Keep the meat out for a vegetarian dinner! The list goes on, you can definitely be creative with this chicken fried rice as long as you follow the basic proportions. 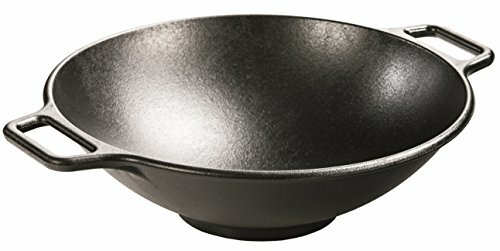 Tips For Making The Best Fried Rice? 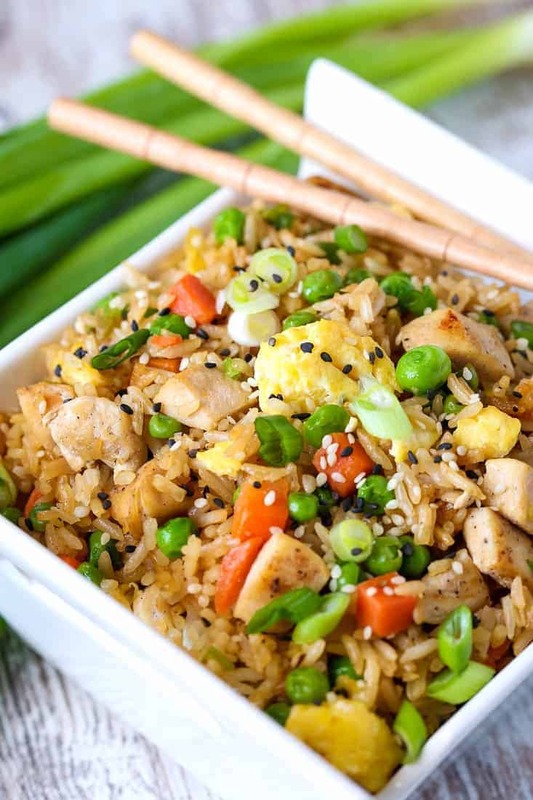 There are a few tips for making really delicious tasting fried rice at home. One is to make the rice ahead of time and let it cool in the refrigerator. The rice will become firmer this way and the grains will separate making for a more authentic fried rice, not mushy fired rice that no one wants. 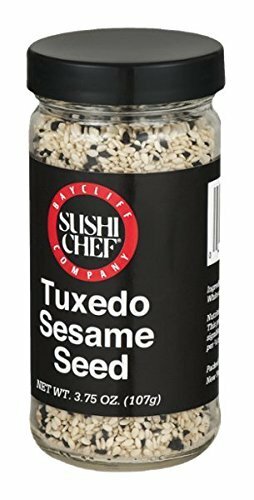 Another great tip is to grab a couple of containers of rice from your local Chinese take out place and use that instead of making your own rice. We usually make our own and let it cool but whenever we have leftover rice from getting take out, you can be we’re making fried rice the next day. The next thing you need to do when you’re making fried rice is to use the right pan, typically a wok. If you don’t have a wok try and use a deep skillet so there’s a lot of surface area to come in contact with the food. 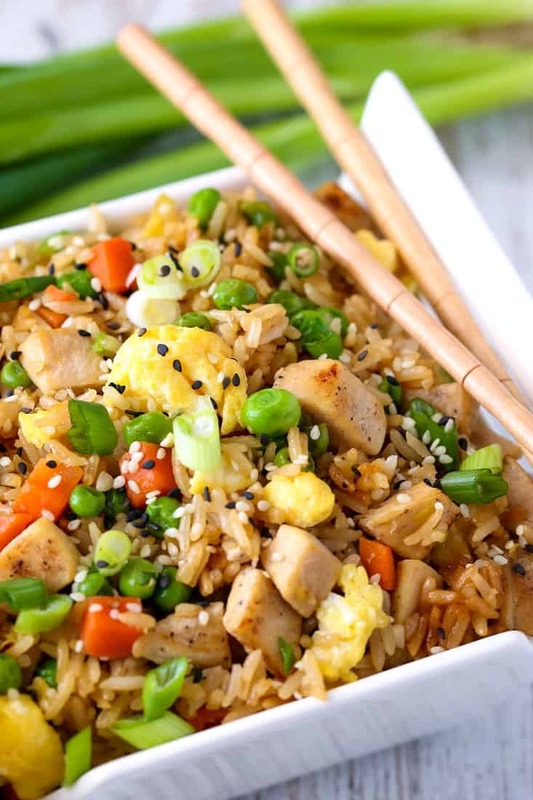 So, a few easy tips and you’ll be on your way to making this easy chicken fried rice recipe – or any fried rice recipe right at home!